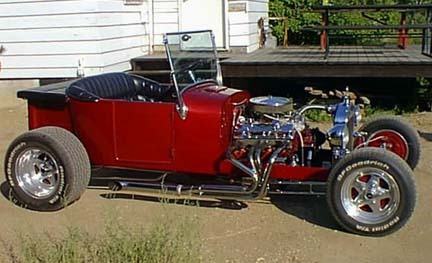 Built from a 1927 Model "T" with a 1973 General Motors 350 engine this is a car that will definitely be easy to spot. explained that he has been looking for something special in a car for some time. 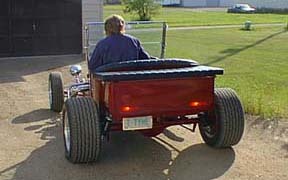 His friends encouraged him to get a Harley but he wanted something a little more conventional like a Ford, Chevy or Pontiac. 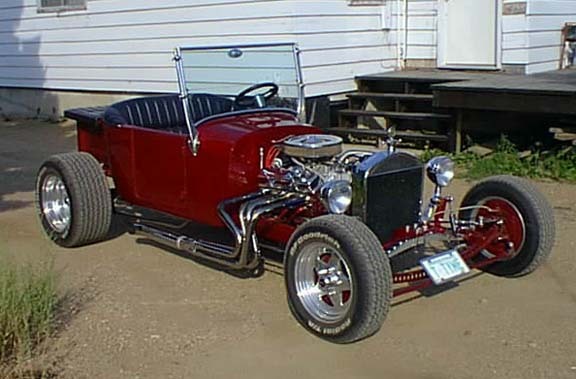 This roadster fits the bill for him. 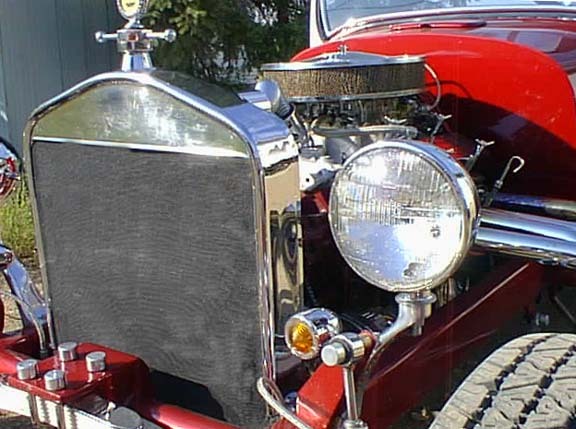 Most cars that we see like this one are actually made from kits where you purchase the chassis and a fibre glass body but this one is authentic. 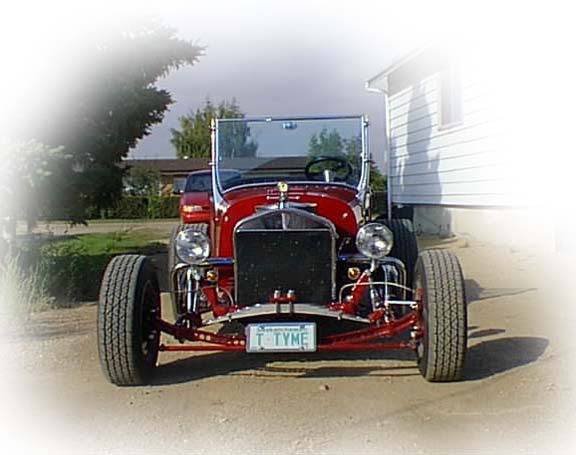 The Model "T" steel body is original as is the basic suspension. 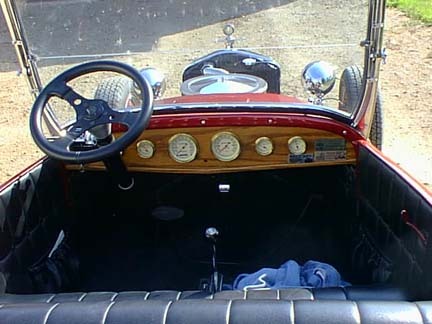 The car has a conventional General Motors automatic transmission and modern brake system. 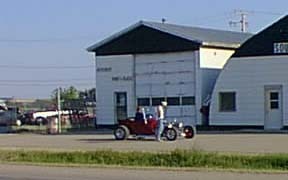 I ask the new owner about its handling on the road and he beamed and explained that it rides more like a sports car by telling you when you hit a pot hole in the street but on the highway it glides along straight and true. 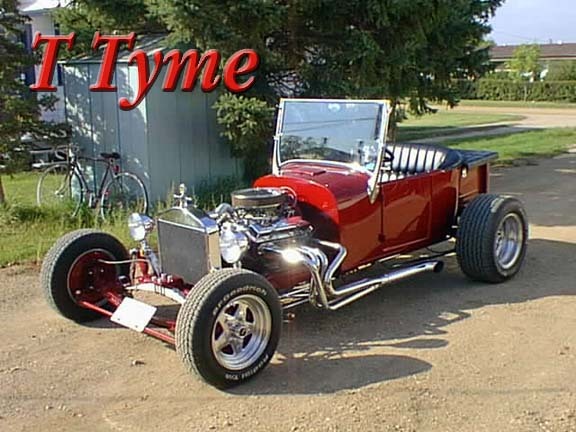 The chromed headers and exhaust system hang right on the motor and I wondered about that and the owner explained that it was really pretty quiet, this of course is a relative turn but for a 350 engine indeed it burbles along without a lot of disturbance.